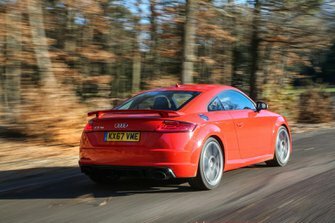 Audi TT RS Running Costs, MPG, Economy, Reliability, Safety | What Car? 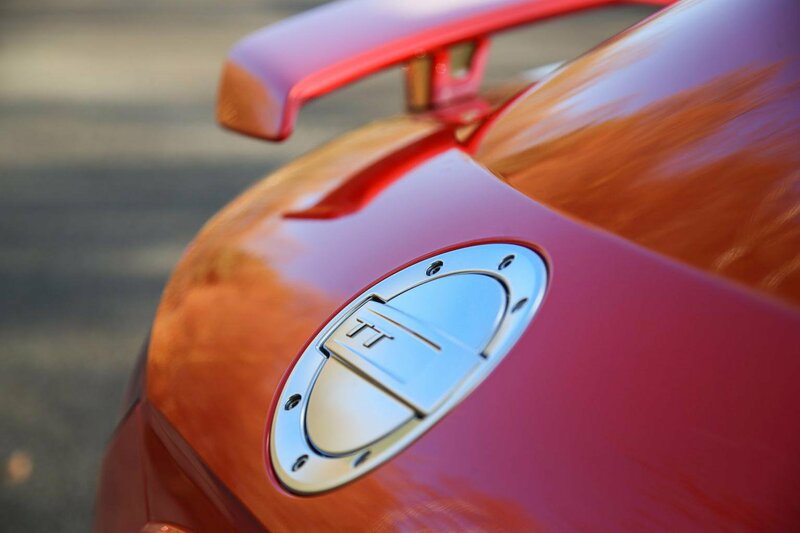 At list price versus its main rivals the TT RS is sort of in the middle. For instance, a BMW M4 is quite a bit more expensive, but a Porsche Cayman S is slightly cheaper. However, you need to take into consideration standard equipment, because Porsche are traditionally stingy when it comes to kit and once you’ve specced it to the same level as the Audi, it’s actually more expensive. That the Audi is quicker than both rivals will be another big draw for buyers. Audi’s premium interiors and strong brand image also means the TT RS should hold on to a good proportion of its value. Sure, the Porsche and BMW will too, but now that the Cayman has a four-cylinder engine, it might struggle against its five and six-cylinder rivals down the line. 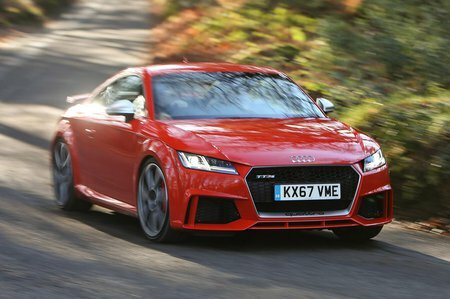 However, by anybody’s measure, the TT RS is an expensive car to buy in the first place, and fuelling, taxing, servicing and insuring it will cost more than if you went for one of the lesser models in the range. Still, it’ll be a similar amount to that of its aforementioned rivals and is in some ways to be expected. The Roadster has worse fuel economy and CO2 emissions than the hard top Coupé, but the difference is minimal. If you’re considering the convertible, the more important cost to take into consideration is the outlay required over the cost of the Coupé.